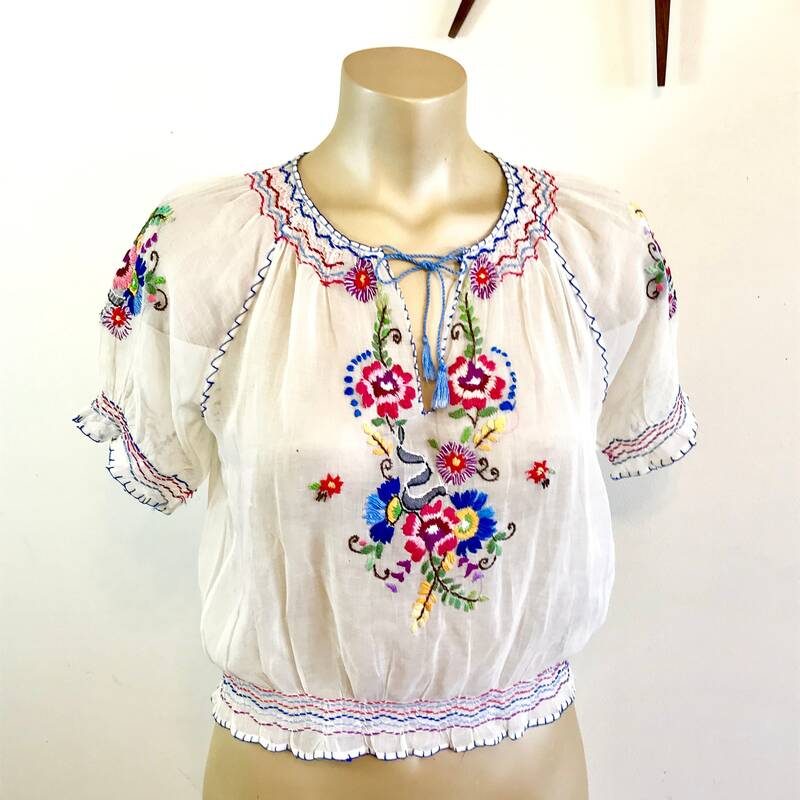 This is a very special authentic vintage Hungarian peasant blouse! 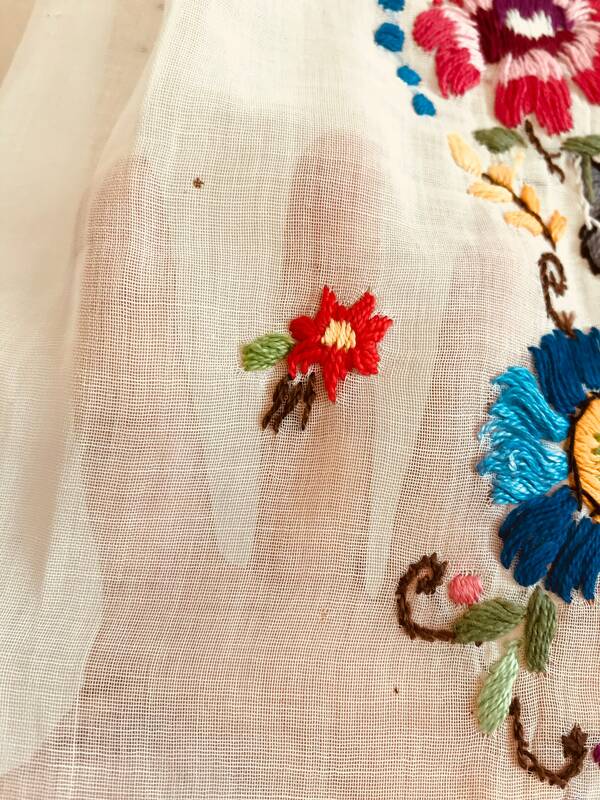 It is made of 100% cotton and is sheer and gauzy, with bright embroidered Flowers! 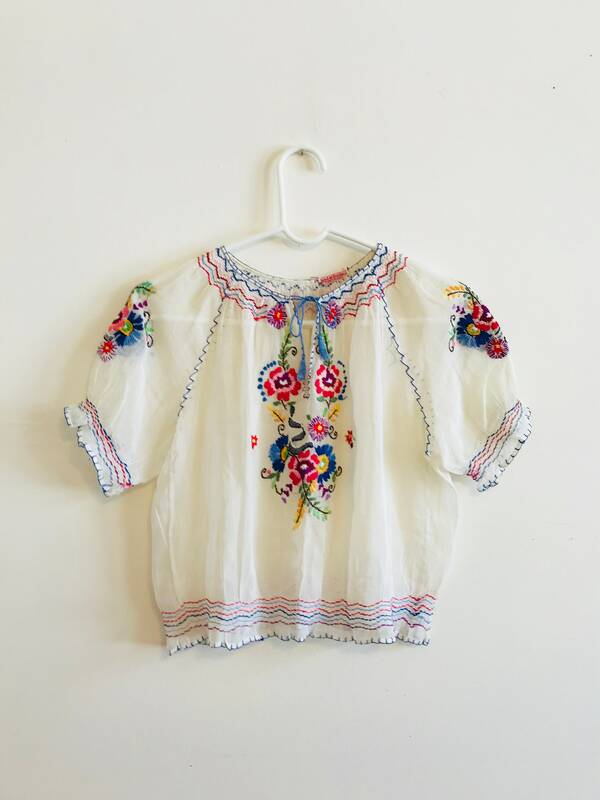 This antique folk blouse has colorful smocking on waist and sleeves. 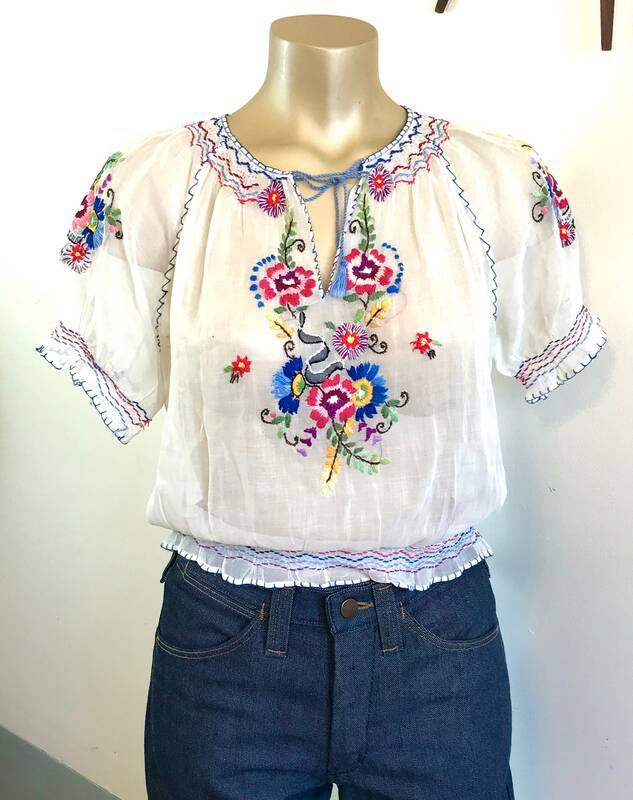 It is the perfect boho prairie top! 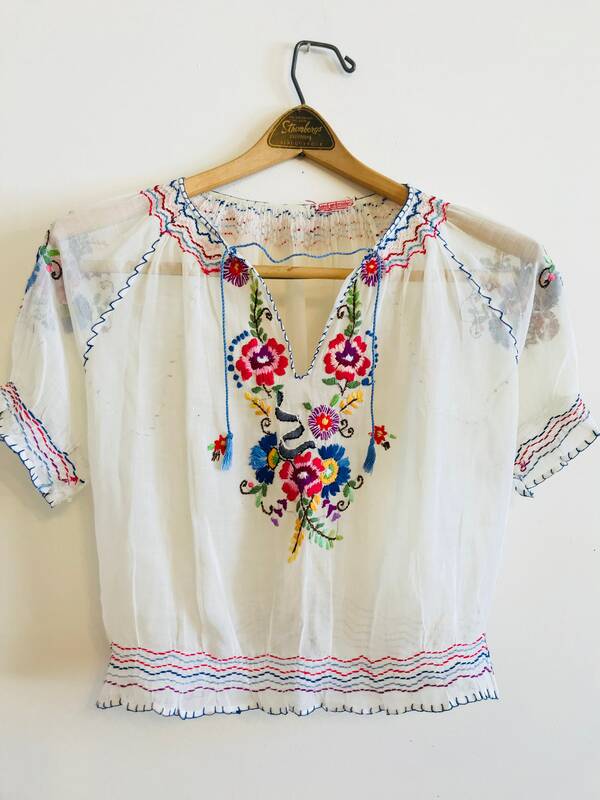 I believe this ethnic peasant blouse is from the late 1930s to early 1934s because of the fabric. 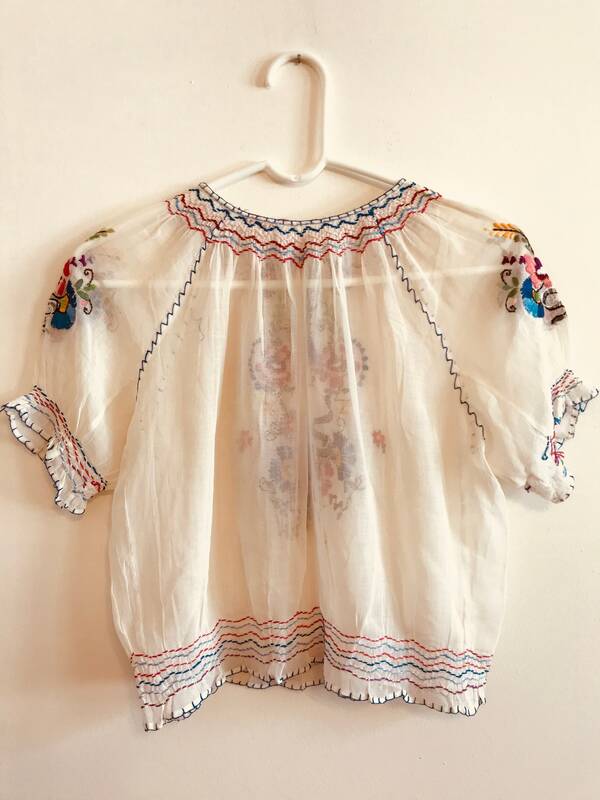 This floral gypsy blouse is so perfectly bohemian! A rare 30s/40 folk art piece! It would be so perfect with jeans, a headscarf and tall brown leather boots! So boho chic! 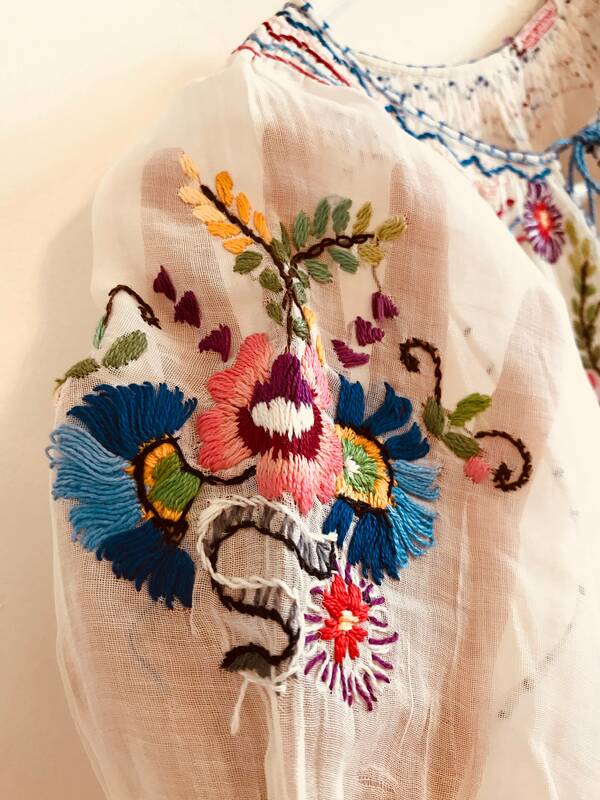 This beautiful old Hungarian blouse was made with no elastic in the smocking at the sleeve or waist, and has small armholes, and has to be pulled over head and fit over your shoulders, which makes still blousey, but a small. If you wanted, you could get it altered, and have snaps put in waist and open the arm holes to make it fit larger sizes. Very good! Ready to wear with lots of years left in this beauty! 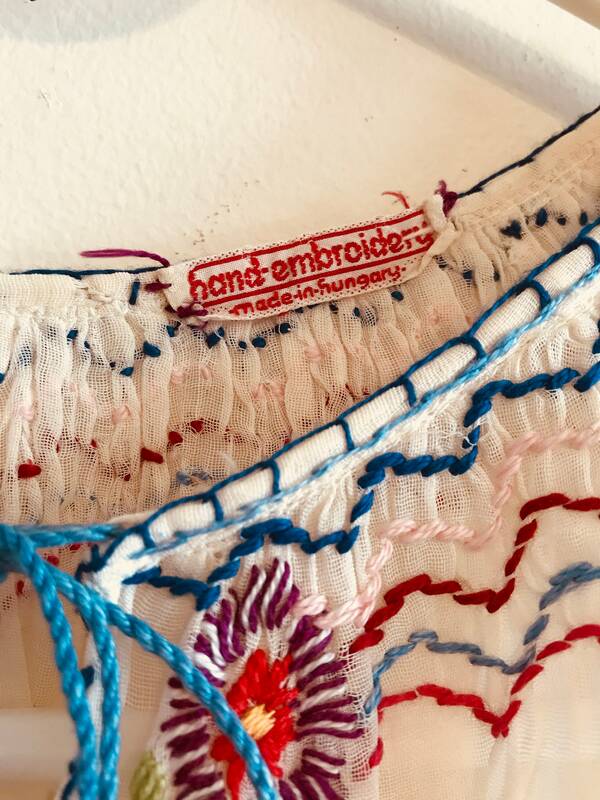 The embroidery is bright and beautiful and amazingly intact, and the cotton clean and lovely! 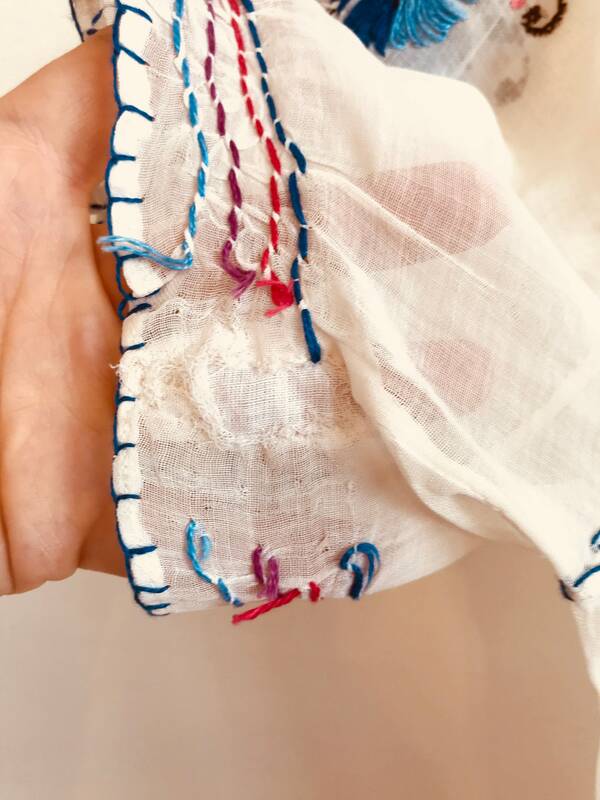 *There are three tiny dark dots on the front of the blouse that I have shown in the photos, they look like holes but are not. *There are several little tiny places that are turning into pinholes, and one hole forming under one armpit (as pictured). *There are a few loose embroidery strings. 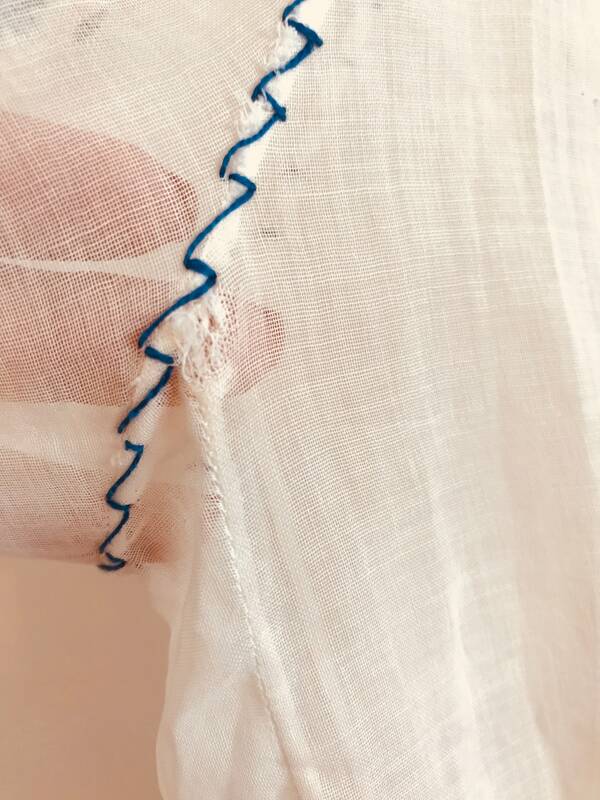 There have been some repairs and some embroidery missing under one sleeve. (please see photos for flaws).